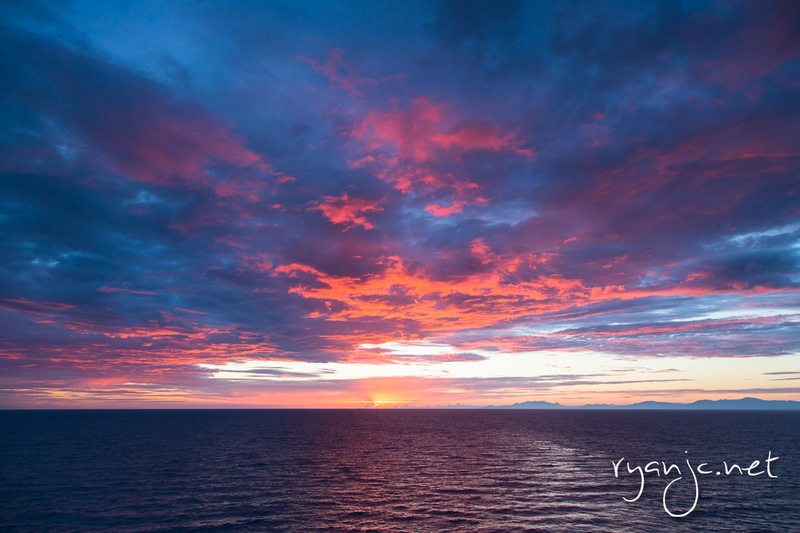 The number one thing that stuck out the most for me was the incredible service aboard the ship. 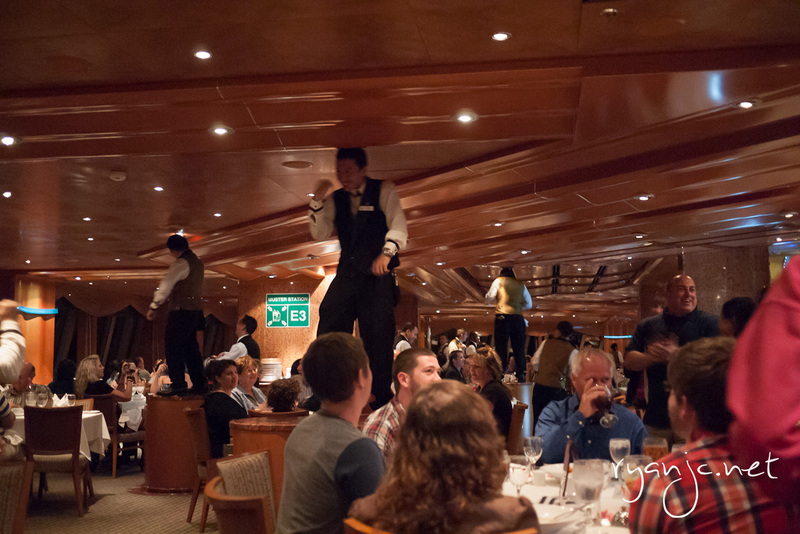 Day or night, we were greeted by smiles and warm salutations from the crew. All of them are glad to direct you around the ship and will happily talk with you and ask about your day. Most were willing to go out of their way to make sure you got what you wanted or needed. One that thing struck me was how happy everyone seemed. This is one thing I have noticed about successful retail stores and other businesses. Happy employees make for happy customers. 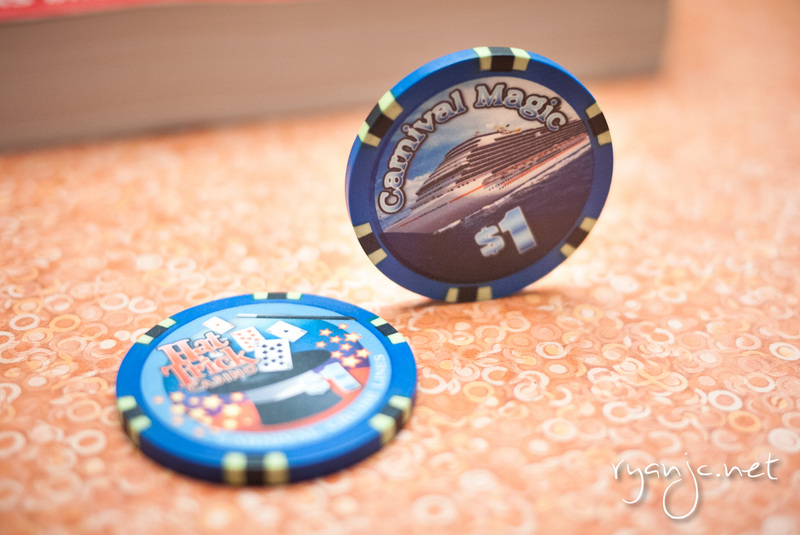 Out of the five categories I have chosen to discuss and rate, service has to be the best aspect of the Carnival Magic. They worked hard to earn their added gratuity split amongst the crew. At night the wait staff would always sing and dance to a couple of songs. When was the last time you saw that at dinner? 5/5 for a near perfect experience with the staff. Never at any point was I or should you be hungry on a cruise. Any time can be eating time and there’s always something to eat, 24/7. On the case of the Magic, it was the Pizza Bar, the soft-serve ice cream machines, and room service. All in all, the food quality was a mixed bag however. The breakfast variety between the buffet, the outdoor grill, and brunch was excellent. It was easy to find tasty (and healthy) items with good variety. For coffee and hot beverage drinkers there are several self-brewing coffee machines for coffees, teas, and hot chocolates. In addition, there are several fruit juices (orange, apple, and guava punch) and iced tea. Be sure to grab some fruits and fill up your water bottles before heading out for the day’s adventures. Lunch options included the buffet, the Cucina del Capitano restaurant (gratis, free, at lunch) or the other selected restaurants (poolside grill, pizza bar, the Indian Tandoor, or the Sub Shop (also all free). I highly recommend the Tandoor and Italian restaurants as the food is quite authentic (especially the Indian) and has a more homemade touch to them. If you’re ever looking for a quick snack, check out the Pizza Bar (which is always hot and fresh) or the grill for fries and/or a burger. These two options are perfect for and get crowded after a long day of excursions on the islands. There’s also usually at least one section of the buffet open between breakfast, lunch, and dinner. If you’ve been following along, you’ll know that dinner was the lowest ranking aspect in terms of food and in the greatest need for improvement on my list. Again, the service in the main dining room was excellent and the staff was equally friendly, cheerful, and helpful, but the entrées were really lacking in taste, presentation, and variety. Compared with some of the other dishes and creativity on the ship, dinner seemed to fall short. Every night there were two menus. One was a fixed menu that had American staples such as a burger, salmon, a beef and chicken dish, and other common dinner foods. The other changed day to day and could be found posted outside the dining rooms or on the TVs in the room. I always ordered off the daily menu to try something new, each time, feeling a bit disappointed. The descriptions of some of the dishes of seafood and steak sound mouthwatering, but in reality, left me feeling empty inside. 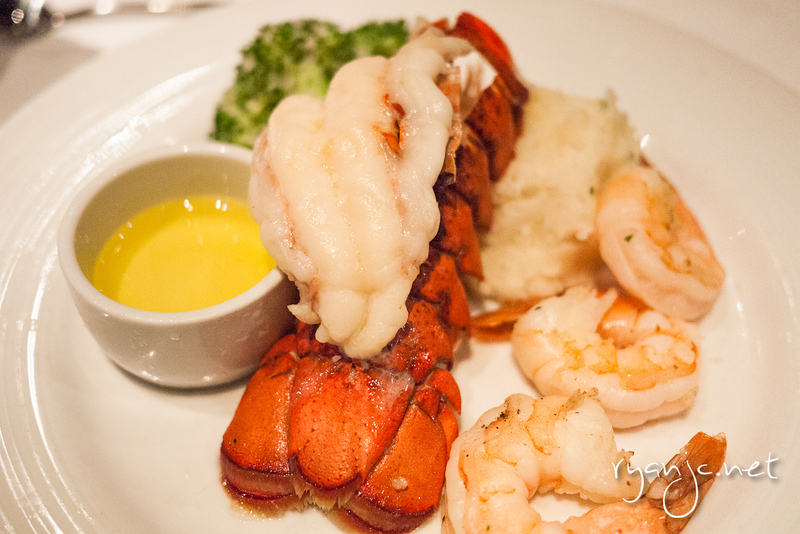 This meal was frequently salvaged by the excellent appetizers and desserts though! The appetizer items were fresh ideas and different and I sometimes would get two of them because I knew they would be good. Desserts too were incredibly made and definitely left you wanting more. Alternatively, you can make dinner reservations for either the Cruise’s steak restaurant (Prime) for an extra $35 per person or the Italian restaurant for an extra $12per person. Both are all you can eat of course. I’d suggest checking out the Italian restaurant for lunch since it’s free and has pretty much the same menu and the steak restaurant if you’re a big steak lover, it’s supposed to be very good and up to steak-restaurant quality. 3.5/5 for an underwhelming dinner that didn’t quite live up to the hype of the menu. Entertainment on board was average. The shows weren’t particularly large productions, the singing and dancing was mediocre. Don’t expect anything near Vegas or Broadway productions. The games and other group ship activities weren’t interesting. The bingo was overpriced.The comedy shows were either not funny or too vulgar for my tastes. The strong suits of entertainment on board would have to be some of the quieter parts on deck where you can just kick back and relax, read a book, and just enjoy being out on the water. The Hat Trick casino was decent and the dealers were friendly. Additionally, the fitness room was quite nice and there were a dozen treadmills facing the front of the ship. One of the other nice things to check out is the piano bar which plays nightly for several hours. If you have young kids, I think they would enjoy the mini water park, ropes course, miniature golf, kid clubs, and teen nightclubs and all the other things catered towards a younger crowd. The entertainment definitely needs work. I don’t think Carnival ships offers anything near that of Royal Caribbean’s. RCL has many large pools, rock-climbing walls, ice-skating rinks, and Cirque du Soleil style shows. NCL even offers Blue Man Group shows. I’m ok with mediocre entertainment provided I can entertain myself. We booked the cruise to travel to cool destinations. Enjoying the ship is just a perk of getting there. 3/5 for pretty keeping myself entertained. On this Western Caribbean route of the Carnival Magic from Galveston, we visited three islands (in order) Roatan, Honduras, Belize City, Belize, and Cozumel, Mexico. I’ve heard it said amongst fellow passengers that every trip has one “bad apple” when it comes to a port of call. It was supposed to have been Belize. But I have to say that if you do your research ahead of time and know what it is you want to do and where others have gone, you can have a great time. Every island has something unique to offer, you just have to find it. For a detailed overview about each day, you can read about Roatan, Belize, and Cozumel‘s individual posts. Each day’s Fun Times Guide listed all of the activities and happenings around the ship from sun up to well after sun down. There’s various classes, shows, activities, games, art auctions, and eating events going on around the ship. In short, our time spent in Roatan was with a tour guide showing us the island, talking about its history, the culture, and how the local people live. We also stopped at their private zoo and saw a variety the animals before heading off to the beach in the late morning and early afternoon. In Belize, we immediately found a tour company with a boat which took us to their private island where we spent the entire day snorkeling, swimming, and relaxing on the secluded beach. In Cozumel, we lead our own self-gudied tour to the Chankanaab National Park and spent the rest of the day shopping in the port. 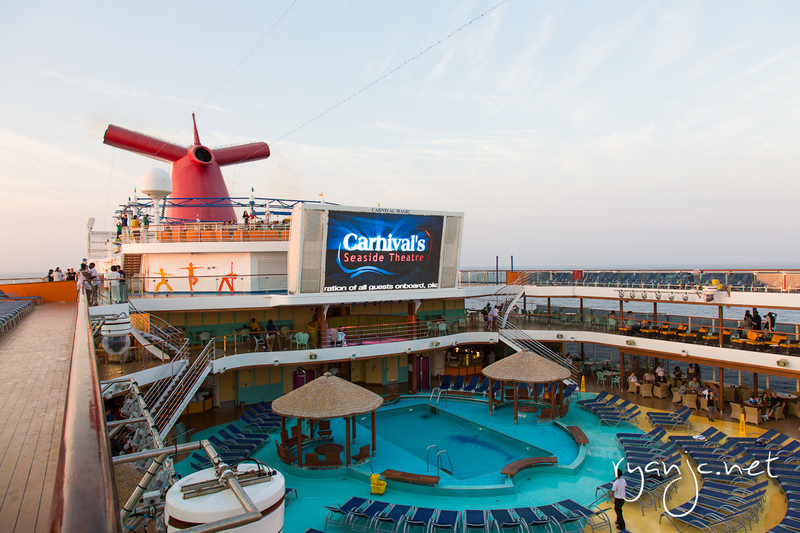 As an aside, I would love to see Carnival or the other operators out of Galveston sail to the Eastern Caribbean and add new destinations other than Jamaica and the Grand Cayman Islands (the alternate route that runs every other week). For $550 a person per week for the 7 night trip, cruising on the Carnival Magic is a great deal!That’s $80 per person per night which includes your room, as many meals as you can eat in a day, entertainment, and a ship that takes you to some incredible and pretty exotic destinations! Had we gone the week after (through Christmas), the price would have been more than double. If you can avoid any major holidays, you can save a bundle. The only other things to factor in are getting to and from the cruise terminal (driving to Galveston for us) and gratuity for the hardworking staff. Gratuity runs $11.50 per person per day and is broken down to 50% for the dining staff, 32% for the room stewards, and 18% for the other staff. While the amount is “suggested,” you can adjust it up or down depending on your wishes at the end of the cruise. The staff works hard around the clock to make sure all the needs of the guests are met and in my book, they definitely earned and deserve the gratuity. One thing that I wish was included or at least cheaper was free WiFi or internet access at kiosks. I can understand being in the middle of the gulf and having to use limited bandwidth for internet among thousands of guests could probably get taxing, but it’s 2013. Being off the internet for a week though is nice to get away and not have to worry about. 5/5 for a week-long of unforgettable fun at a good deal. Overall: 4.3/5 and highly recommended!